Featuring naughty children with nasty habits, cartoon heroes that come to life, lonely caretakers, unhappy ghosts, fantastical creatures with crazy names, giants, goblins, vampires, mermaids, this volume includes a collection of poems that are lyrical, outrageous and serious. 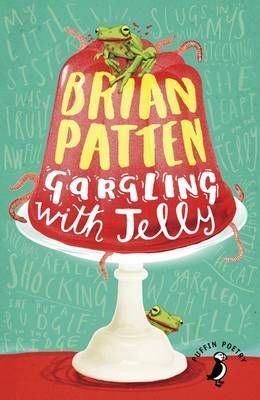 Gargling with Jelly by Brian Patten, one of our best-loved poets. Hilarious, lyrical, outrageous and serious poems all rub shoulders in this collection. Naughty children with nasty habits, cartoon heroes that come to life, lonely caretakers, unhappy ghosts, fantastical creatures with crazy names, giants, goblins, vampires, mermaids...there's never a dull moment in this marvellously quirky and refreshing jelly pot!